1. 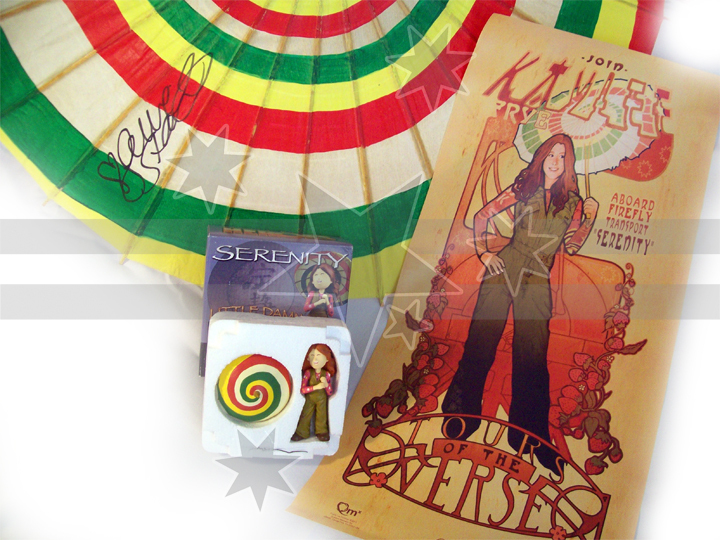 A hand-made paper Kaylee Parasol signed by Jewel Staite. This parasol is a copy of Kaylee’s as seen in Firefly. 2. Kaylee Maquette (display model). These maquettes are very rare and this is the very last one we have – an ex-display model numbered 461/1500. There is some damage to box, and the parasol’s stick has been replaced, but otherwise it is intact. Bidding for these items starts at $150 on the day.